There’s no better time than the holiday season to spend quality time with your whole family. Whether having a game night, family dinner or doing a fun family craft, it gives you time to spend with your children and significant other doing an activity that you’ll remember for years to come. No matter if you’re up for a complicated venture or something super simple, it will be time you’ll be sure to cherish. 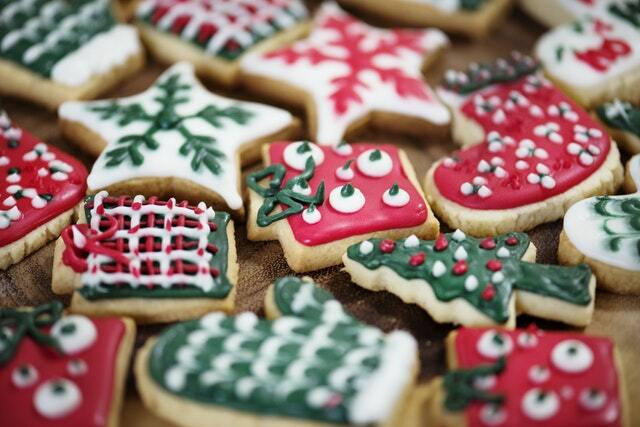 Baking and decorating sugar cookies is the perfect family affair. You can make the dough from scratch or buy premade dough and simply get fun cookie cutters, like a snowman or a snowflake. Grab some colored icing, sprinkles, and edible glitter and decorate up a storm for a craft that is both fun and delicious. 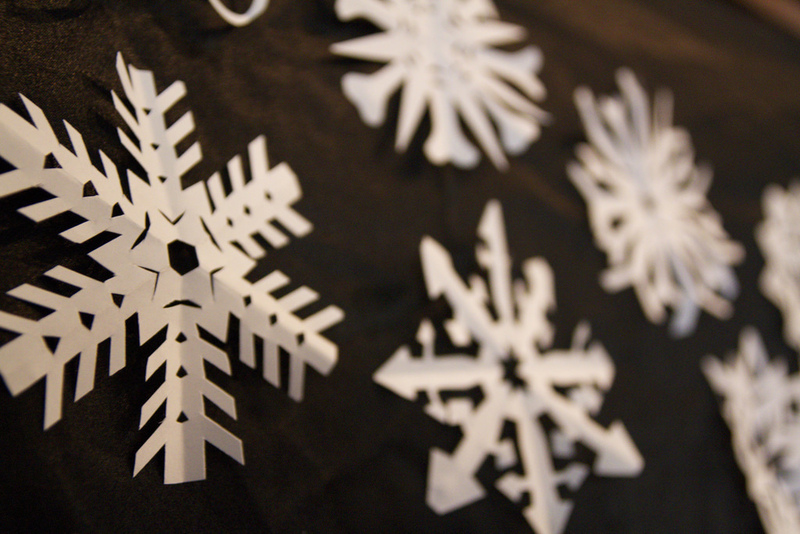 It doesn’t get simpler or more festive than paper snowflakes. This super-simple craft is perfect even for your littlest family members. Simply fold the paper into a folded over triangle, and get to cutting. It will allow you and your family to be super creative and help you deck the halls at home by hanging them on your Christmas tree, from the ceiling or around the mantle. This craft only requires a few supplies and it will create adorable ornaments for your home or Christmas tree. Grab a handful of popsicle sticks and give them a quick coat with acrylic paint. Then, glue them together in whatever shape you choose, whether a snowflake, triangular reindeer, Christmas tree or wreath. Add any decorative finishing touches like pom-poms, ribbon or trim for a festive finished product. 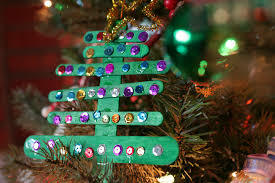 Add a ribbon loop to the top with hot glue, and you’ve got an instant ornament.